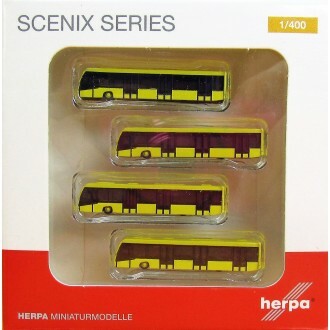 Following on from the small buses in the 1/500 scale, a set of four modern apron buses in yellow with transparent windows is now available for the 1/400 scale making them suitable for use with all 1/400 scale models including Herpa Wings and Gemini Jets. 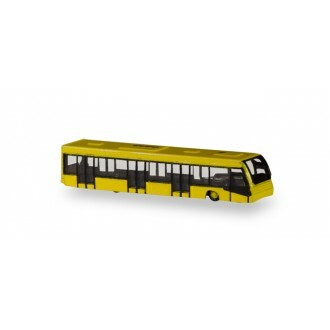 Each model is approximately 3.5cm long. Design your own airport. Herpa Scenix Series airport accessories offer the right equipment in the 1/400 scale - true to the original and highly detailed.